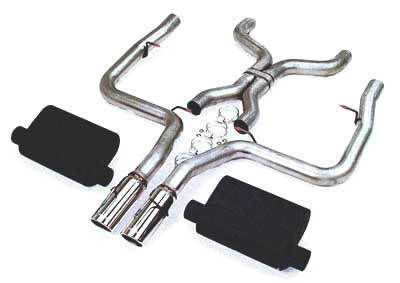 A new aftermarket exhaust can increase your Toyota Tundra's performance and better its sound. Read on to learn all about it. Aftermarket exhaust systems allow harmful gases to exit your Toyota Tundra's engine faster, which increases its performance. The less restriction you have on the gases coming out of your engine, the more power you will squeeze out of your vehicle. A better exhaust flow also makes for better gas consumption, as it frees the engine and allows it to work with less restriction. 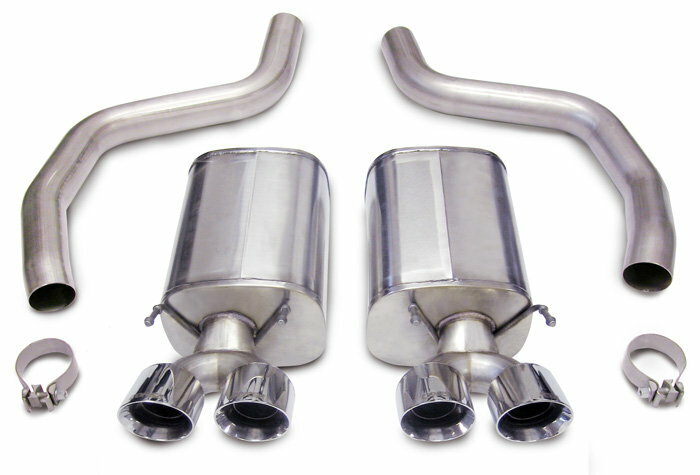 If you're a fan of a mean, aggressive sounding truck, upgrading your exhaust system will make it growl beautifully. 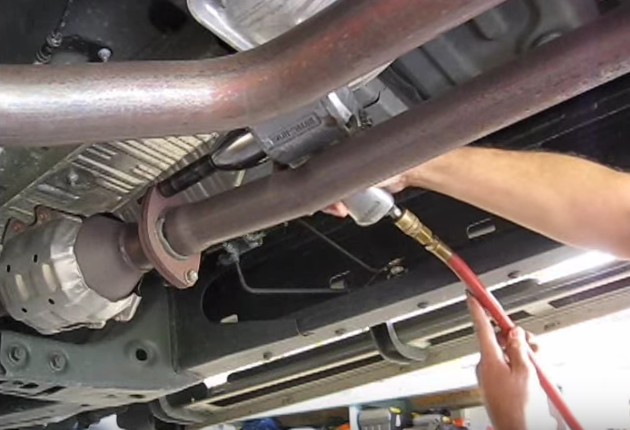 Read on to learn how to replace the exhaust system on your Toyota Tundra. 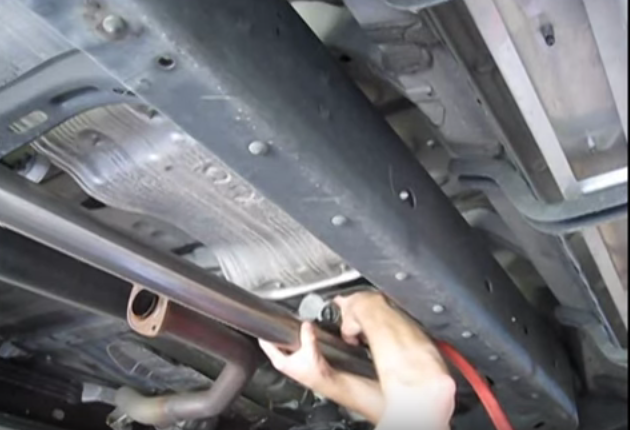 Remove the old exhaust, all the way from the catalytic converter back. Remove the clamps holding the exhaust up, then remove the connections between the exhaust. There should be two connections. Remove the bolts holding the exhaust pieces together to remove the exhaust system. When the pieces come apart, you will have to wiggle it out, as they have hooks that let them hang from the truck. Figure 1. Remove all connections. Figure 2. Remove all connections. Figure 3. Remove all connections. 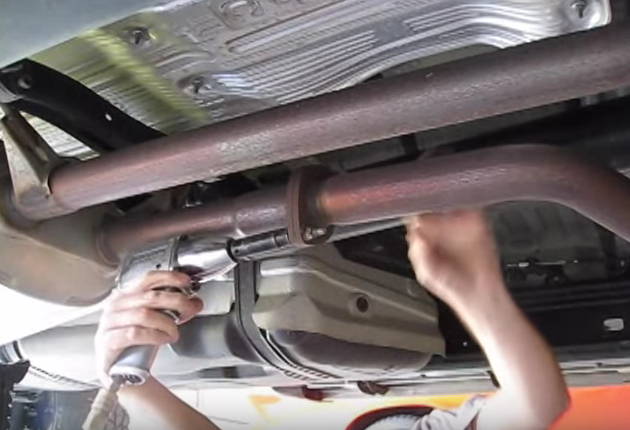 Ask a friend to help hold the exhaust pieces as you bolt them in place. Start from the front of the truck, connecting the pieces and making your way back. Be sure to connect the pieces together snugly, and don't forget to connect the clamps to the top that hold the exhaust in place. Be sure to tighten all the bolts properly to avoid any exhaust leaks. Figure 4. Install new exhaust. Figure 5. Connect the pieces together. Figure 6. 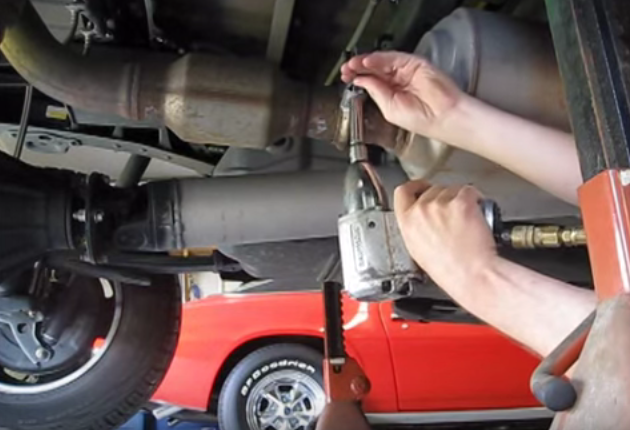 Install clamps holding exhaust to truck. Now that you have learned that replacing the exhaust system on your Toyota Tundra is a simple swap, this guide will continue to shine some light on some of the popular exhaust system brands for your truck. Whether you want the loudest exhaust or the cheapest one, this guide will help you choose the right one for you. Read on to learn about the most common aftermarket exhaust systems available for the Toyota Tundra. 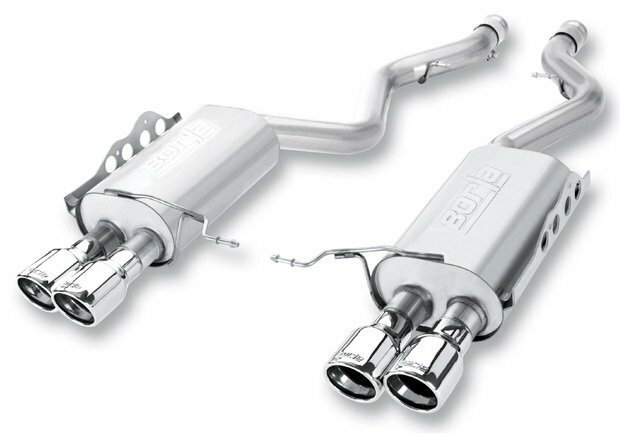 The Borla exhaust system comes specifically made for your truck. It's designed from aerospace grade T-304 stainless steel, which assists in making your Tundra growl more aggressively. This system is legal in all 50-states, which means it won't void your warranty either. If you thought changing your oil is easy, wait until you see how simple it is to install this system, as it is completely bolt-on. This system comes with a one million dollar warranty, which is a huge piece of mind. Customers were please that it came with all the hardware you need, so you don't have to use the old rusty pieces. Overall, there were no complaints with this product from enthusiasts. Recommended if you're looking for a great, reputable system with a great warranty to boot. Even though this system is one inch smaller than the Borla in diameter, it still delivers. You will feel an immediate increase in performance. A great number of forum enthusiasts claim a decent increase in MPG. This American-made system is legal in 50 states, and it comes with a lifetime warranty also. The Corsa exhaust system has been known to make the truck run a lot smoother than the stock unit, but when you lay your foot on the gas pedal, it will growl like a beast. Some customers complained, however, that it is too quiet for their taste. They would prefer a more aggressive sound for an aftermarket exhaust system. Recommended if you're looking for an increase in performance and a great warranty with a more subtle exhaust note. 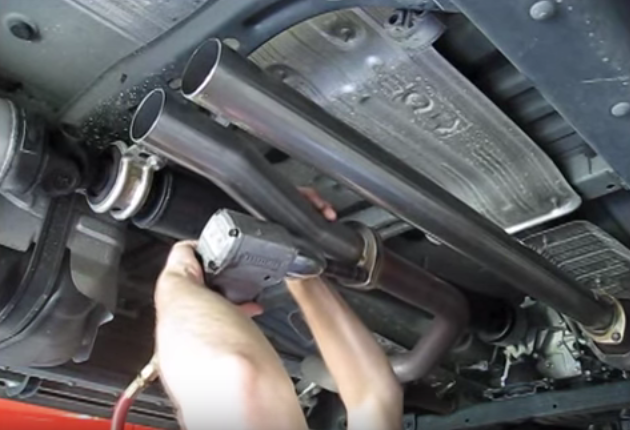 This exhaust system is all about the sound! However, it does make a noticeable difference in your Tundra's performance, so don't discount it on that alone. 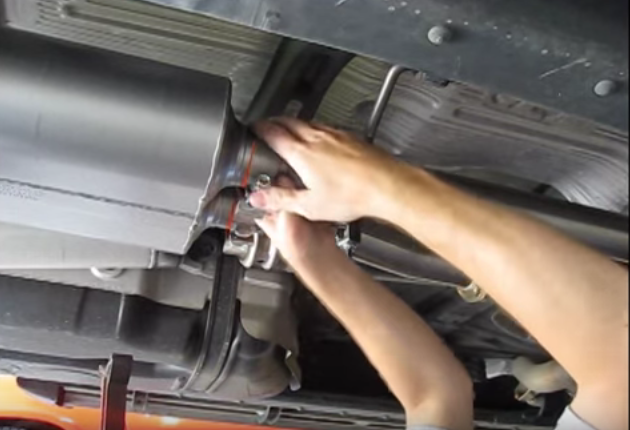 This system will require you to tune your truck after putting in place, but that doesn't mean it's hard to install. It's all bolt-on for the system, so it's a snap to get it together. Even though this system doesn't add much to your acceleration, it adds a ton to the torque. When you're purchasing this system, you will be faced with two options: an aggressive sounding system, or a moderately sounding system. Most customers end up with the aggressive sounding system, and they all love it. Recommended if you're looking for an aggressive sound out of your exhaust system.